What's New for the 2019 Subaru Ascent? After a five-year absence, Subaru is roaring back into the three-row crossover market with a gem of a new vehicle. Available in the summer of 2018, the 2019 Subaru Ascent will prove itself to be formidable competition in the crowded market space. The standard eight-passenger vehicle features three benches in both the second and third row. For those consumers wanting a pair of second-row captain's chairs, this option is available on most trims at no extra cost. The Ascent is ready to take on the challenges of any growing family with 20 cubic feet of cargo space behind the third row. This number grows to 73 cubic feet with both rows folded down, providing maximum space and versatility. 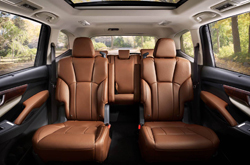 What Varieties of Subaru Ascent are Available? With a variety of trim levels, there is an Ascent for every budget and personal taste. All trims come standard with a 6.5-inch touchscreen infotainment system but this size expands to 8.0 inches on the Premium, Limited, and Touring trims. 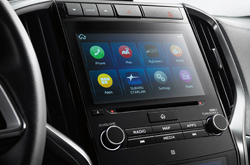 All of the infotainment systems offer both Android Auto and Apple CarPlay compatibility. Consumers choosing the Limited model will receive an Ascent equipped with LED headlights and leather upholstery throughout. The most discerning drivers can choose the most premium Touring trim and gain a variety of standard features including panoramic sunroof, navigation services, rain-sensing windshield wipers, power liftgate for easy access, proximity key for convenience, and ventilated front seats. The Ascent runs on a new turbocharged 2.4-liter flat-four engine. This motor produces 260 horsepower and 277 lb-ft of torque. 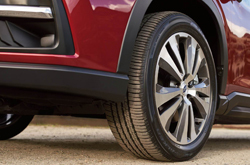 All Ascent trims come equipped with all-wheel- drive. The Ascent is expected to ring in at a maximum towing capacity of up to 5000 pounds, making this vehicle ready for any adventure that life can throw at it. Subaru has built a strong reputation for safety and the Ascent figures to be no exception to this universal rule. The patented EyeSight suite of active safety features boasts a variety of premium assistance tools on all trims including adaptive cruise control, automated emergency braking, and lane-departure warning. Higher trim levels add more features such as rear cross-traffic alert, automated braking, and a blind-spot monitoring system. The friendly and professional Subaru experts at Camelback Subaru are eager to show you all the unique features of this brand new entry in the popular large crossover market. 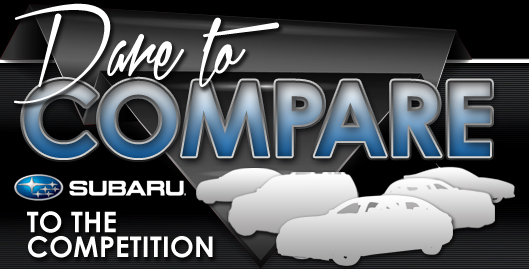 We invite you to stop by Camelback Subaru so that we can answer any questions you might have and take you for a test drive so you can experience the power, capability and premium style of this new vehicle. We look forward to serving you today!